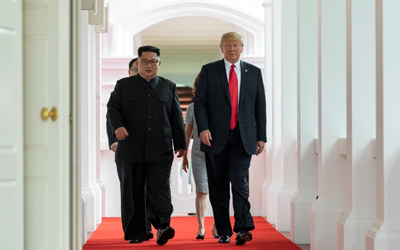 U.S. President Donald Trump and North Korean leader Kim Jong-un were meeting in Singapore on Tuesday, a historic opportunity to peacefully end the North Korean nuclear threat. The summit began at 9 a.m. on the resort island of Sentosa against the backdrop of the North's nuclear capability that Trump has vowed never to allow to hold the United States hostage. The two leaders walked toward each other at the Capella Hotel in front of a row of their countries' flags. They shook hands and posed for photographers. 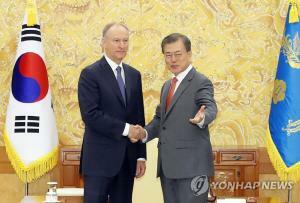 Kim said in English, "Nice to meet you, Mr. President." 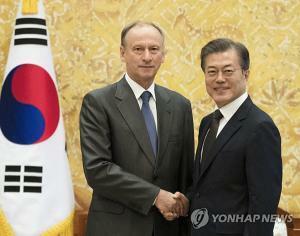 After walking down a colonnade with only their translators behind them, the two entered a meeting room for the first-ever sit-down between the leaders of the Korean War adversaries and the culmination of a monthslong flurry of diplomacy pushed in large part by South Korean President Moon Jae-in. "We're going to have a great discussion, and I think tremendous success," Trump said with Kim next to him. "And it's my honor, and we will have a terrific relationship, I have no doubt." Kim acknowledged it wasn't an easy path to the meeting. "We have a past that is holding us down and wrong prejudices and practices that at times covered our eyes and ears, but we overcame everything to come this far," he said in Korean. 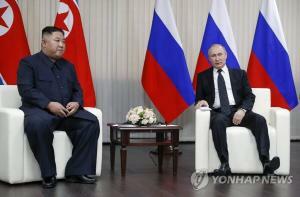 The two held a 45-minute one-on-one meeting and then moved to expanded bilateral talks involving their top aides. Trump said the first sit-down was "very, very good" and called their relationship "excellent." He added that the two of them will "solve a big problem, a big dilemma." Denuclearization is sure to top the agenda. In a related vein, the two sides could also attempt to declare a formal end to the 1950-53 Korean War as a security assurance for the regime and may also discuss the issue of North Korea's alleged human rights abuses. What kept the two countries' negotiators talking late into the night Monday, however, was likely the gap in their definition of denuclearization and what that would entail. The U.S. seeks the complete, verifiable and irreversible dismantlement of the North's nuclear weapons program, whereas the North advocates a broader definition that also includes the removal of the U.S. nuclear umbrella over South Korea and Japan. "Meetings between staffs and representatives are going well and quickly ... but in the end, that doesn't matter," Trump tweeted hours before the summit. "We will all know soon whether or not a real deal, unlike those of the past, can happen!" 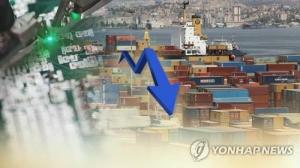 U.S. Secretary of State Mike Pompeo said Monday that the U.S. goal has not changed. But he added that the U.S. is ready to offer security assurances that are "different, unique" compared with those it has been willing to provide previously. "The ultimate objective we seek from diplomacy with North Korea has not changed: a complete and verifiable and irreversible denuclearization of the Korean Peninsula is the only outcome that the United States will accept," he told reporters here. "But I am very optimistic that we will have a successful outcome from tomorrow's meeting between these two leaders." Trump was also upbeat about the meeting he has said he has prepared for all his life. "I just think it's going to work out very nicely," he said at a luncheon with Singapore's Prime Minister Lee Hsien Loong on Monday. The expanded bilateral meeting was joined on the U.S. side by Secretary of State Mike Pompeo, Chief of Staff John Kelly and National Security Advisor John Bolton. The North Koreans were Kim Yong-chol, vice chairman of the central committee of the ruling Workers' Party, Ri Su-yong, vice party chairman on international affairs, and Foreign Minister Ri Yong-ho. 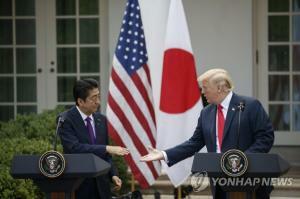 Their final meeting, according to the White House, will be a working lunch attended by White House press secretary Sarah Sanders; Ambassador Sung Kim, who has led substantive talks with the North going into the summit; and Matt Pottinger, senior director for Asia on the White House National Security Council. Ruling out the possibility of the talks extending into a second day, Trump will then hold a press conference before departing for the U.S. at 7 p.m. The on-again, off-again summit was reinstated on June 1 after an envoy of Kim's brought Trump a personal letter from the North Korean leader. Trump had called off the meeting the previous week, citing "open hostility" from the regime. And in the weeks before that, North Korea threatened to pull out of the meeting over suggestions from Bolton and U.S. Vice President Mike Pence that the regime would ultimately meet the same fate as Libya's collapsed government if it refused to denuclearize. Trump in March accepted Kim's invitation to meet, a decision that took even his aides by surprise. 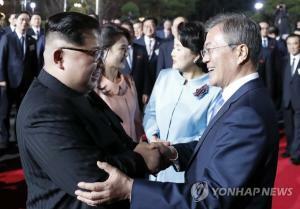 Behind that was Moon's push to improve ties with the North amid escalating fears of war prompted by an exchange of threats and personal insults between Trump and Kim over North Korea's testing of nuclear weapons and ballistic missiles last year.